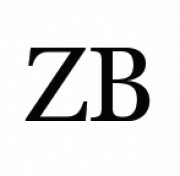 New York, NY, July 8, 2015	(Newswire.com) - The fund's primary emphasis will on restructuring commercial real estate assets to enhance value across the Zarvic Brothers portfolio. These assets will be available on both the primary and secondary domestic markets with an average hold period of five years. Zarvic Brothers has a strong emphasis on enhancing value to major assets, both in commercial real estate and in publicly traded companies. Our opportunistic strategy allows for upside potential through long term holdings and by maintaining an option to sell the asset with added value in order to achieve expected returns. Zarvic Brothers is a privately held entity that provides alternative investment strategies in order to enhance returns with limited downside risk. For additional information please contact Zarvic Brothers directly. Zarvic Brothers is a alternative wealth management group with a strong emphasis on commercial real estate. located in New York and Rochester, New York.